We'll be the first to admit it: we love best-sellers. They save us valuable research time and give us a sense of what travelers like us enjoyed in the past. 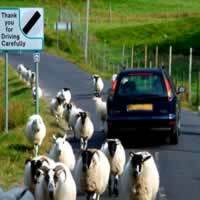 Ireland is the perfect country for driving. There are lots of charming towns along the way, each worth a stop and a visit in which ever route you choose to explore. 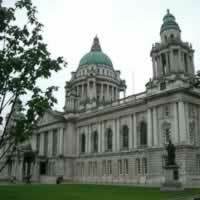 Land of castles, country manors, green pastures, pubs, druids and so much more. Always separate from the rest of Europe by the Channel with its very own personality. With over 1000 years of history Dublin has experienced many changes, particularly in the last decade. 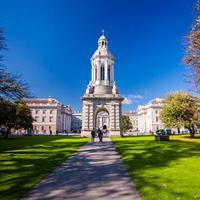 European Union membership and increased prosperity have transformed Dublin into a multicultural city with a thriving economy, ranking it among the top tourist destinations in Europe. Its historic buildings include Dublin Castle, dating to the 13th century, and imposing St Patrick`s Cathedral, founded in 1191. City parks include landscaped St Stephen`s Green and huge Phoenix Park, containing Dublin Zoo. The National Museum of Ireland explores Irish heritage and culture. An hour walk from the top of Grafton Street, across the Liffey, up O`Connell Street, and farther into north Dublin is a walk through time and, also a glimpse of some of the pieces that must eventually fit together. An exhilarating vacation package leading you through beautiful cities in England, Scotland and Ireland. Begin in London (a city rich in history and encompassing modern conveniences; pubs, shopping, food and nightlife) then continue Edinburgh (a cozy capital city with a fairytale feel) to Dublin (a delightful mix of medieval, Georgian and modern architecture, a wealth of history and culture, a legendary literary tradition). This is a flexible vacation package. Select your number of nights in each city, desired hotel and activities. 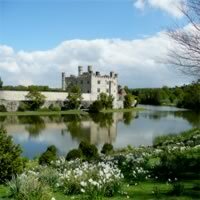 Pick up your car in Shannon and drive to Medieval Limerick (King John`s Castle, Lough Gur Neolithic Settlement and Stone Age Centre), then proceed to Killarney (Muckross House and Gardens, Ring of Kerry) and finally, visit Dublin. This is a flexible package. Select your number of nights in each city, desired hotel and desired rent a car. For an in-depth visit of this incredible city, give yourself at least 6 nights! A self drive through Ireland in style! Spend your days traveling across rich midland pastures and spend your nights in castle (or manor home) style hotels, ranging from the 11th century to the 18th century. An unrivaled experience! 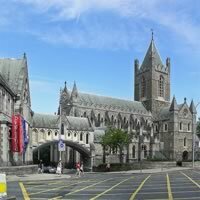 Visit Dublin (a city rich in literary history; trendy cafes and intimate pubs with authentic regional food), Galway (famous for its castles) Connemara (wild and rugged; famous for its unparalelled beauty) and Clare; lastly visit the charming medieval city Limerick. This is a pre-set, independent, SELF DRIVE package. You may choose to visit any, all, or none of the suggested sites. Please note: Castles are not open during Christmas Season. This package is available between February and November. 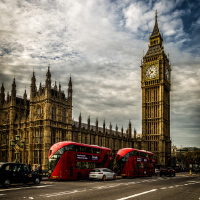 An inspiring vacation package leading you through beautiful cities England, France and Ireland. Begin in London (a city rich in history and encompassing modern conveniences; pubs, shopping, food and nightlife) then continue by Eurostar train to Paris (the romantic City of Lights, incomparable shopping and dining) then fly to Dublin (a delightful mix of medieval, Georgian and modern architecture, a wealth of history and culture, a legendary literary tradition). This is a flexible vacation package. Select your number of nights in each city, desired hotel and activities. 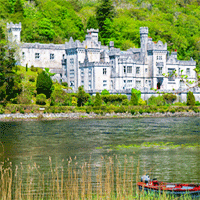 A self-drive vacation package through Ireland allows you the flexibility to explore at your own leisure. Start your adventure in Dublin (where intimate, authentic pubs and trendy coffee houses will surely delight) then pick up your rent a car and depart for historic Kilkenny ( full of large castles and beautiful abbeys); continue to Waterford (the world famous home of Waterford Crystal; splendid clear, pristine beaches and charming villages perched on the edge of beautiful bays). From there head to Cork (Blarney Castle, Old Midleton Distillery, Drombeg Stone Circle) and on to Killarney (Muckross House and Gardens, Ring of Kerry) and the beautiful medieval city Limerick (King John`s Castle, Lough Gur Neolithic Settlement and Stone Age Centre). Fly out of Shannon. This is a flexible package. Select your number of nights in each city, desired hotel and desired rent a car. Visit Europe with this customizable vacation package and see several of the most fascinating cities! 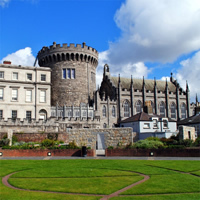 Start your adventure in Dublin (overflowing with tradition and majestic countryside) and then fly to Paris (the romantic City of Lights and a heaven for art lovers) and Rome (rich in religious history and art). This is a flexible vacation package. Select your number of nights in each city, desired hotel and activities. 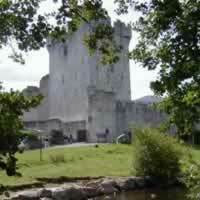 Visit Ireland with a rental car, which you pick up in Shannon. 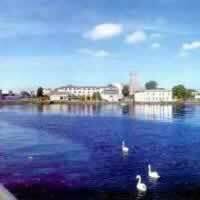 This vacation package explores the medieval city of Limerick, charming Waterford (home to world-famous Waterford crystal, pristine beaches and quaint villages) and Dublin (a gorgeous city with a cosmopolitan vibe and ties to its past). This is a flexible package. Select your number of nights in each city, desired hotel and desired rent a car. 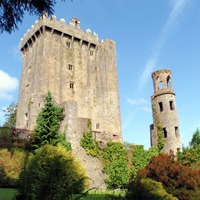 Combine Dublin (a delightful mix of medieval, Georgian and modern architecture, a wealth of history and culture, a legendary literary tradition) and Edinburgh (a cozy capital city with a fairytale setting, castles and gorgeous countryside) with a flight between cities in this vacation package. This is a flexible vacation package. Select your number of nights in each city, desired hotel and activities. Combine 2 popular cities in Europe with a short connecting flight in this vacation package. Start with a stay in Dublin (a vibrant city with old castles and trendy pubs) and then visit Barcelona (fascinating architecture and fabulous food). This is a flexible vacation package. Select your number of nights in each city, desired hotel and activities. Everything was great from you all. Everything went without a hitch. No airline delays, the hotel was just what I wanted. One of the best vacations I've had.